Discussion in 'Indian Air Force' started by Agent_47, Feb 6, 2017. 500 KM !? Sea Level Range !? What are the Army Requirements...!? A "stretched" ALH design in the 7.5-9 ton range would be an excellent addition to HAL's portfolio. 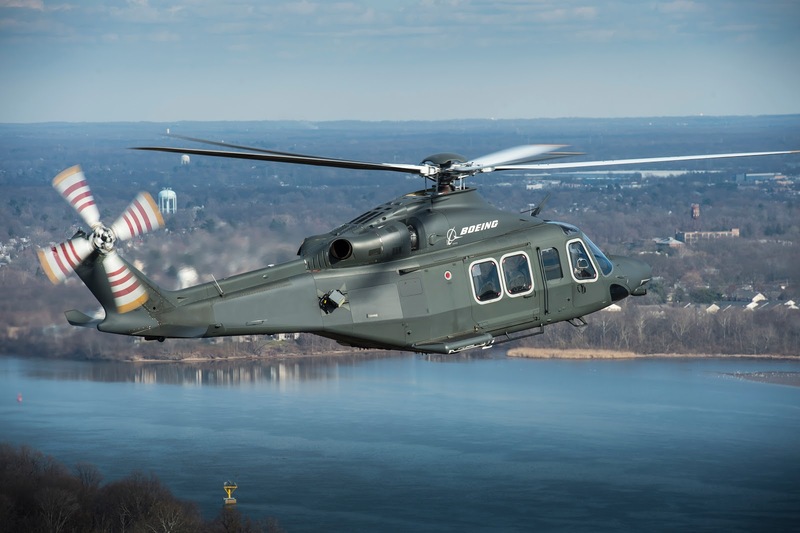 Incidentally, Boeing are pitching the AW139 (MH-139) to the USAF to replace their UH-1N. There are >900 AW139s in service (or on order) around the world, there is a HUGE market for this class of helo. Sancho, SR-91, ni8mare and 8 others like this. If HAL shows the speed of development as they did with LUH, we should be seeing a first flight of this extended Dhruv within 2025. With LUH taking to the skies and most of LCH development work done (limited series production about to begin), the time is right to focus the dev dept. on X-Dhruv and IMRH. HAL has been known to have upto 3 different helo projects in development simultaneously (no mean feat in of itself) so this shouldn't be a problem. And the fact that we'll be using the indigenous HTSE-1200 for this X-Dhruv is a good news to hear. Waiting for something solid to emerge about this turboshaft in the future, I guess we can see a test flight of the HTSE on board an ALH within 2020. Sancho, SR-91, Abingdonboy and 2 others like this. BUT , keeping our needs first ! Does the Indian Armed forces have a requirement for 7.5ton MRH?? and do we have an existing 7.5ton frame already in use? But this is PKS, he could be making up this story based on HTSE power rating and old illustrations. It is logical though. No, it don't. It's main requirements are for 9-10 ton and 12-13 ton. But, this is about HAL building a good helicopter portfolio with minimum effort and capturing market in coming decades. SR-91, Abingdonboy, Grevion and 1 other person like this. Currently there isn't any overt sign the armed forces are looking for a 7.5-9 ton helo but as they say build it and they will come, I'm sure when/if this is developed there will be sufficent interest from multiple services, for many roles it is more suited than far the IMRH (a heavy medium class helo). And the new design will fit nicely within HAL's portfolio otherwise there would be quite the jump from the 5.5t ALH to the 12-13t IMRH, quite the glaring gap. True bro and in fact HAL may embark on this new project just to keep their, now, highly capalble development team occupied. HAL seem very concious these days of keeping their capacity (whether that be on the production or the development side) fully utilised. In not very long the R&D efforts of the LUH and LCH will largely be maxed out and only iterative development would need to go on (as in ALH MK.1-4) but that requires far less resources and focus so there will be capacity becoming freed as a result and the IMRH is the only new project HAL's rotary development wing has proposed. 5.5t ALH in the transport role. The ALH always struck me as a bit of an outlier, it doesn't really fit anywhere- it is not a light helo as its designation would suggest, nor is it a medium class helo really either. It can't be used for the RSH roles of the LUH nor does it have the range/endurance of a true medium class helo to be used in maritime/shore based roles such as SAR or interdiction. The "stretched" ALH design would address all of these issues. True true, but it does make me wonder about the IMRH, based on the HTSE-1200's power ratings it will be insufficent for the IMRH in a twin engine configuration. Unless HAL are willing to go the AW-101 route and have three engines, they will need to look to a more powerful engine for the IMRH. Really, the "stretched" 7.5-9t ALH will be a walk in the park compared to the IMRH, it will be almost identical to existing designs and will even use their own in-house engine. The IMRH is a different beast all together and quite a leap for them. SR-91, GuardianRED, Agent_47 and 2 others like this. Schwifty, Agent_47 and Sancho like this. RFI engines and technical consultancy. HAL's concept Indian Multirole Helicopter (IMRH) mock-up. 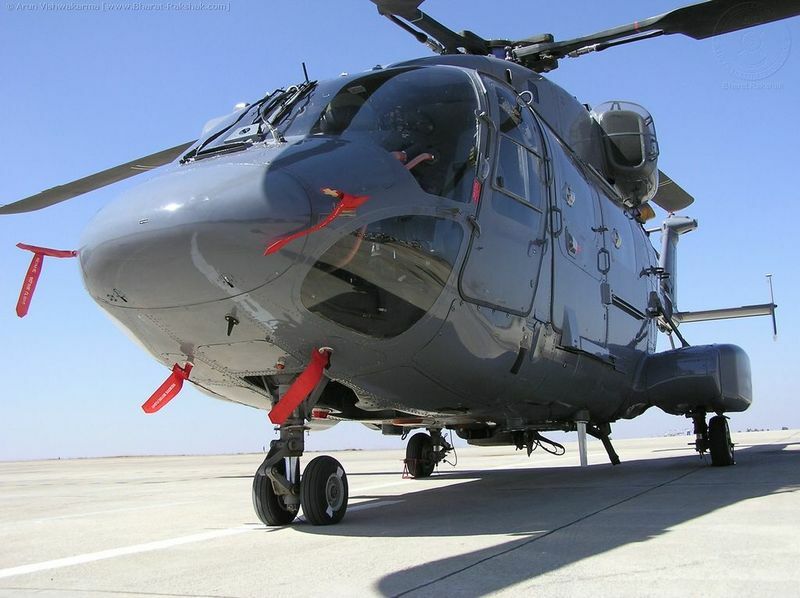 It looks like a Puma and Mi-17 "did the do" and that was the product of their unholy love. Pretty conventional design, should help from a risk perspective, but meh, it's otherwise unremarkable. So long as it works who really care though, right? Agent_47, GuardianRED and Bregs like this. The design of the cockpit section is not only similar, it even has identical layout and number of windows. Both obviously share also the gear and sponson layouts and even the high tail and tail boom is a common design feature for HAL (Dhruv, LUH, LCH). So they took the smart way and enlarged the Dhruv design with a re-designed mid section. The twin air intakes btw is a common design for different helicopters, not only for the Puma, but for Mi 8 / 17 / 26, Kamov versions, so it's obvious where this feature came from. Agent_47, Abingdonboy and Pundrick like this. HAL floats RFI for turboshaft, transmission and technical consultancy on rotors for the Indian Multi-Role Helicopter (IMRH) Programme. 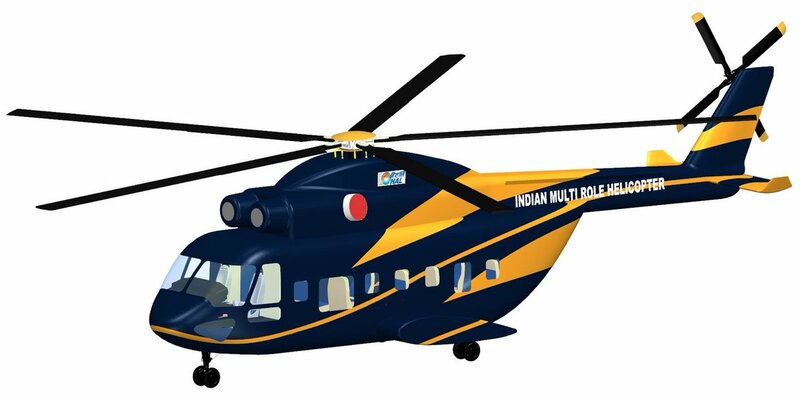 HAL's Rotary Wing Research and Design Centre division on the 10th of May floated RFIs for Turboshaft engine, transmission and technical consultancy of the rotor for the Indian Multi-Role Helicopter. The Turboshaft requirements are for a 250kg engine with Full Authority Digital Engine Control (FADEC) which can operate in -40* C to 55* C and in 95% relative humidity. Specific fuel consumption of the engine is expected to be in the range of 0.250kg/kwhr to 0.275kg/kwhr at TOP. The engine should provide max continuous power ratings (MCP) of 1650, 1250, 1060, 900 and 830 KW at sea level, 3000m, 4500m, 6000m and 6500m respectively. The take-off power rating (TOP) of 1950, 1450, 1250, 1050 and 975KW at sea-level, 3000m, 4500m, 6000m and 6500m respectively should be available for a minimum of 5 minutes, feasibility of 30 minutes ToP is also to be provided by the OEM. The engine should be able to start in temperatures of -40* C to 55* C and pressure altitude of -500m to 6000m. The engine must be capable of air starts (relight in air) up to an altitude of 5.5 km. The Transmission system Main Gear Box (MGB) should take up around 22000 to 24000 RPM from engine and reduce to around 205 to 240 RPM at Rotor Axis. It should also have potential to take Power of around 2X2000 kW to meet it's operational requirement. Tail Gearbox (TGB) should have potential to take up around 400 to 500 kW power at a speed of around 1050 to 1300 RPM. RFI for Landing Gear System and Rotor Blade Folding System was also out too.